When it comes to higher education recruiting, you no doubt know far too well how fierce the competition for students is, especially for undergraduate colleges and universities: last year’s 1 percent overall decrease is also after a 1.4 percent overall decrease for fall 2016, not to mention the overall decrease for enrollment in the three previous years prior to 2016. Your college/university must get savvy right quick when it comes to marketing your institution in order to increase student enrollment. With that in mind, take a look below for the five tools everyone in higher education should be using to attract students to your school. 1. ConstantContact/MailChimp (or another automated email marketing platform). These email platforms allow you to send out emails to students depending on where they are in your sales funnel and also out to anyone on your email list when warranted. Check out our recent comparison of two of the most commonly used: MailChimp and ConstantContact. Social media are where your prospective students pretty much live online and you want to be where they are. Whether they are still in high school or 10 years our from their 10th college reunion, just about everyone is on at least one social media platform. High school students and young adults up to age 24 tend to congregate on Snapchat, Facebook, Instagram, and messaging apps. Those in their mid-20s to about 49 still frequent Facebook to a large degree, Instagram (although only about 33 percent of those 30-49 are on the photo sharing platform), Pinterest, and LinkedIn (34 percent of 18-29 year olds and 33 percent of 30-49 year olds. If you’re not broadcasting relevant posts and links of interest to your target audience on the social platforms they frequent, you’re losing out on capturing their attention. 3. CMS to optimize your website’s pages for SEO and viewing on mobile. One of the best ways to acquire highly targeted leads is to provide your perfect prospects with content they want. Content such as blog posts on getting through the first weeks of dorm life (high school students), juggling a career and family while going back for a bachelor’s degree as an adult (working parents), how to ascertain if an MBA really will help a career (business majors three to five years out from undergraduate commencement), what it’s like to take classes on line (mid-career professionals whose employer will pay for a master’s degree or continuing education), and so on. As it pertains to simplified marketing efforts, a CMS ensures your website’s pages/blog posts, etc. are optimized for the keywords your prospects use when they search for information on the topics of interest to them. A CMS also optimizes those pages for viewing on smartphones or tablets. This is critical because fully 56 percent of all Web searches took place on these mobile devices between February 2018 to February 2018. 4. CRM for higher education. Your customer relationship management (CRM) software/platform lets you store information on leads, prospects, current student, and alumni information in one place (often in the cloud so that all info is ready in real time). 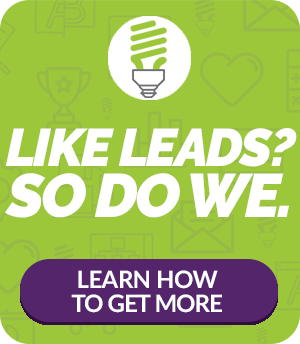 It lets you share information on leads/prospects, etc. with all members of your marketing and sales teams. It provides data on social media activities, sales, and marketing interactions. For example, let’s say a prospective student is in the middle of your funnel and signs up for a campus tour while also downloading a free report written more for potential enrollees who are closer to the beginning of their journey with you. Your CRM lets your recruiters see that the prospect is someone who already is somewhat attached to your institution, instead of as a someone completely new and at the beginning of his journey with you. Note: Hubspot’s marketing platform includes all four of the tools mentioned above. It automates your email communication, helps broadcast your social media posts, optimizes webpages for SEO and mobile, and acts as one of the best CRMS available. Yet learning all the ins and outs of Hubspot so that you will be able to use it to the best of its abilities to increase student enrollment can take considerable time. We are a Hubspot-certified partner, and we have considerable experience in higher education marketing. Which means we can help you take your higher education recruiting to a level higher than you may have thought possible. Drop us a line to learn more about we can help increase student enrollment.